I admit I needed a day off the saddle and yesterday’s rain ensured I got it. Likewise, I have to admit that by Thursday, I was ready to ride again. I had set my alarm for 7:00am and like other riding days, I was wide awake well before it went off. I had experienced a cruise control failure on the way up to Maine from Dallas and while that might not sound like a big deal, trust me; holding the throttle to maintain a constant speed for twelve or more hours a day was at times a painful experience. I was ready to amputate my right arm at the elbow at the end of each day’s ride. Advil was my best friend. Yesterday’s rain afforded me the time to troubleshoot the problem and a convenient overhang connecting my room’s building to the main hotel gave me the place. I was told on Tuesday’s ride that my brake lights were intermittently locked on. This gave the appearance that I was riding them or that they were inoperative. The turn signals worked properly though and they used the same bulbs. Since the cruise control and the front brake lever were in the same housing, troubleshooting was easier. And, since the geek in me convinced myself to pack a volt-ohm meter before I left home, it was even easier. I had adjusted the angle and position of the brake lever in the days prior to leaving home and in doing so, had apparently tugged a wire. A little electrical tape would do the trick until I could solder the connection when I got home. The geek in me wasn’t convincing enough to make me pack my soldering kit. Hester was gassed, dry (having slept under her rain cover), and ready to roll. I hadn’t signed up for any particular ride today. 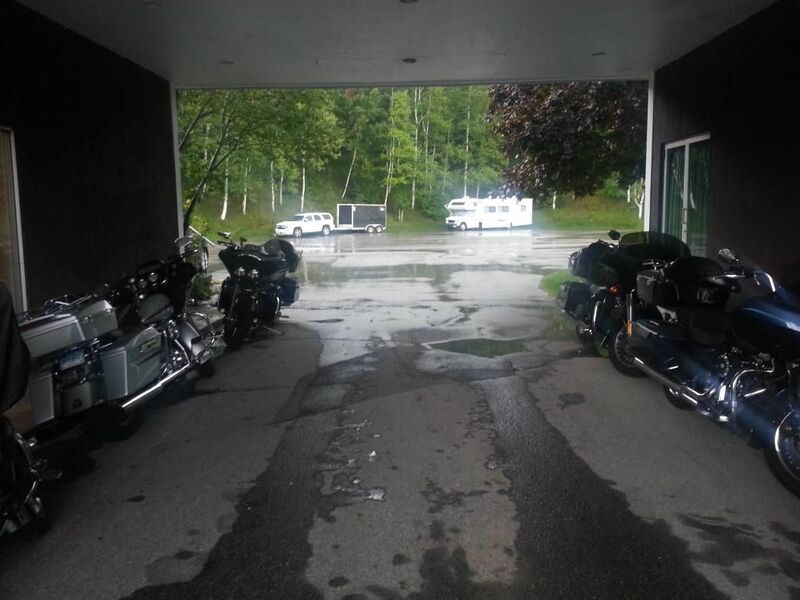 We were being hosted for lunch by a Widow’s Sons Motorcycle Club chapter in Rangeley, Maine and the majority of the Shark Week attendees were heading that way on one of the two primary routes. I had talked with other riders about leaving a few minutes ahead of the scheduled departure so we could ride at least the speed limit and enjoy carving the corners a bit. Previous rides had been led by some riders who apparently think no one can keep up with them, so to be safe, they ride at least 10mph below the speed limit. This makes my skin crawl. Few things frustrate me more when riding that approaching a corner at a speed slower than the posted speed for the corner itself. I’m not in a hurry, really. I just enjoy diving into a corner, scraping my floorboards against the concrete, and rolling on the throttle while hanging on for dear life as Hester rages out of it. When I’m old enough to slow roll the corners, I’ll buy a trike or a Honda Gold Wing. I’m just not there yet. I know I’ll soon hear from my Honda friends over that one. 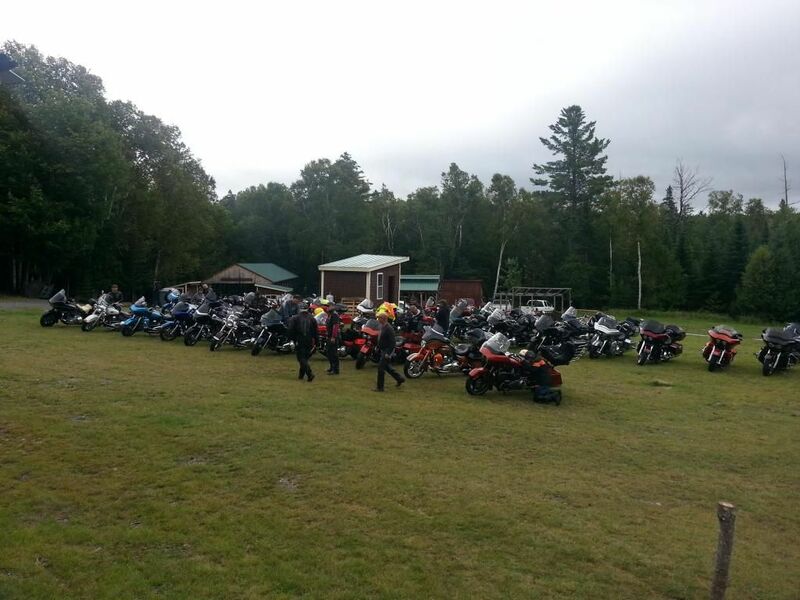 About eight bikes headed out to the Logging Museum in Rangeley. 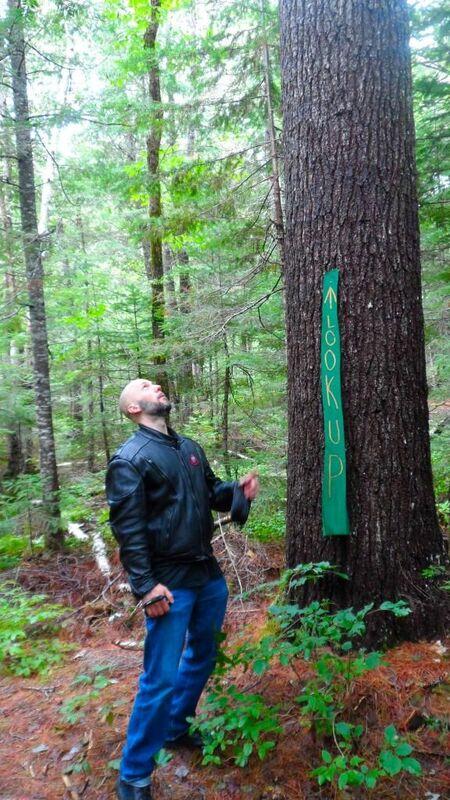 Yes, they have a Logging Musem there. 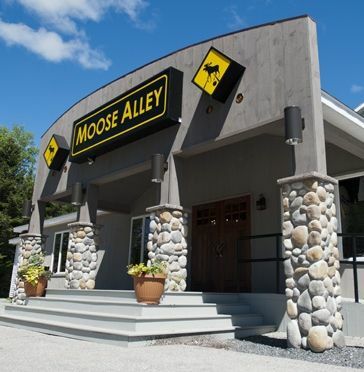 The only other attraction was the Moose Alley Bowling Lanes. I was leading our group following a route I had discussed with my friend Tim the night before. 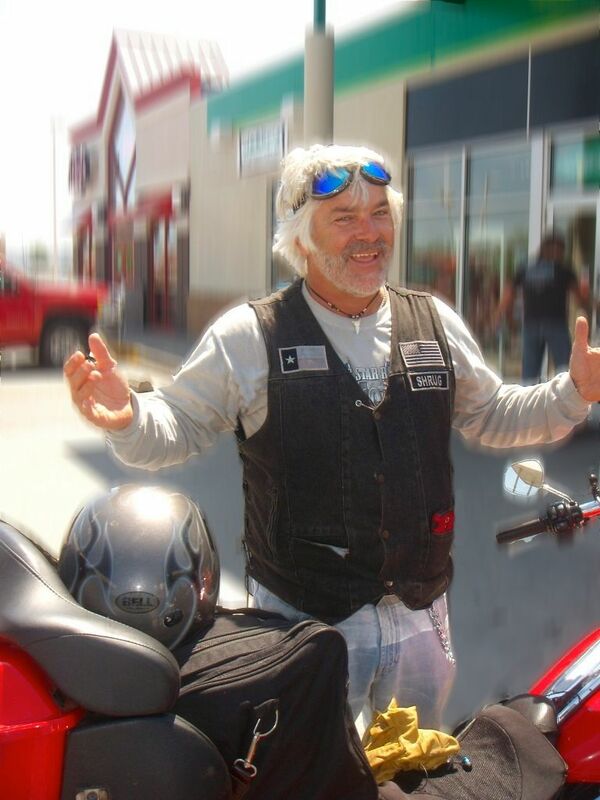 the Road Glide Forums throughout the year, I look forward to seeing him and his wife each year at Shark Week. 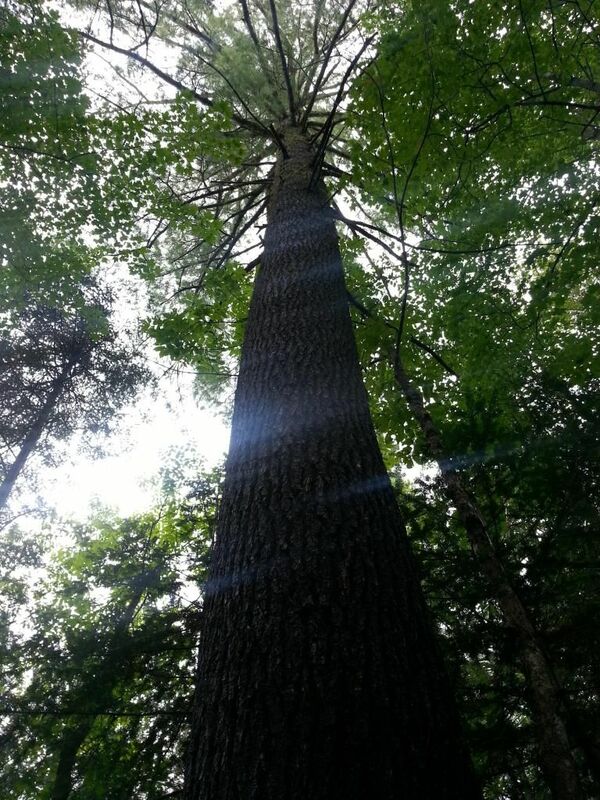 The route to Rangeley was as rough and bumpy as any of the roads we had experienced before. By this time, we were pretty much numb to its effects. Too bad our bikes weren’t. Nuts and bolts were vibrating loose and parts were literally falling off of motorcycles. Not only did we have to try to avoid running over potholes and frost heaves, we were also dodging chrome parts. The green aircraft grade Loc-Tite I used on Hester sure came in handy on this trip. 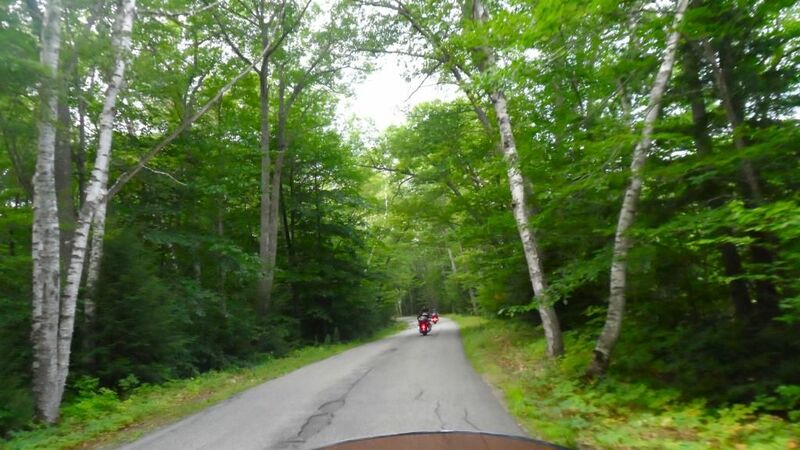 The road to Rangeley smoothed out a bit after a gas stop at about the halfway point and the remainder of the ride was pretty smooth and scenic. The most alarming aspect of the rough roads is the lack of traction. A motorcycle's contact patch is tine compared to cages and even a fraction of an inch of lost contact with the road can be devastating; especially when there are moose wandering about. Every now and then, I would see fresh swerving skid marks in the road, sometimes on a straightaway. I assumed the drivers were dodging moose who weren't in the habit of using crosswalks. It was yet another obstacle to be on the lookout for. I hate dangling participles, but that one couldn't be avoided. But I digress. We arrived at the Logging Museum about an hour early. I suppose there’s something to be said for slow rolling it. Actually, no, there isn’t. Bumps notwithstanding, we enjoyed our spirited ride to Rangeley. Despite our early arrival, our hosts were already there and had a nice fire blazing in an open pit. It’s August, but the morning temperatures were in the 40’s and 50’s, so the fire and hot chocolate they offered were a welcome sight. I’m sure the Widows’ Sons were concerned when just eight bikes showed up for their cookout, but we reassured them there would be plenty of bikes and mouths to feed. By the time we were fully thawed out, clusters of Road Glides were rumbling in and within no time at all, there were easily a hundred bikes on premise. 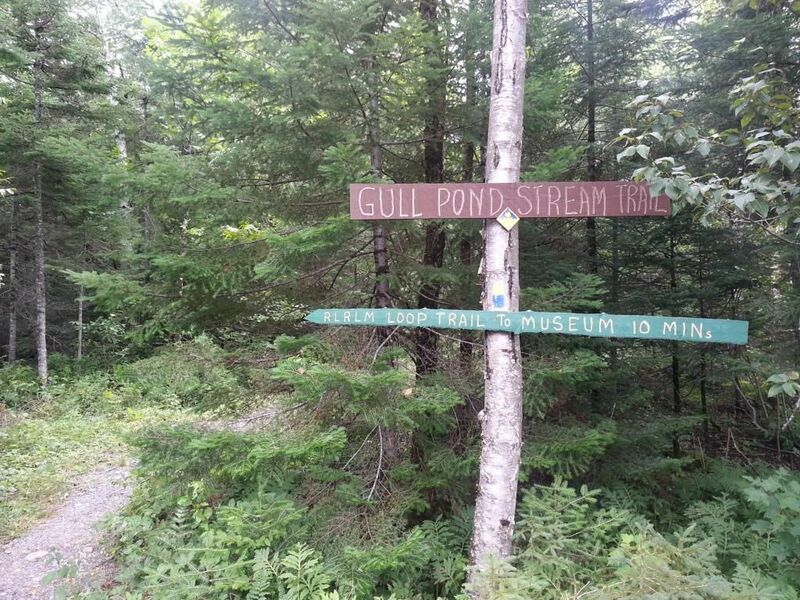 I noticed a sign in the trees indicating a trail leading to a canoe launch that was part of a 700 mile canoe trail that spanned Maine, New Hampshire, New York, and up into Canada. I had time to kill and decided to follow the trail, hoping to get a few pictures. 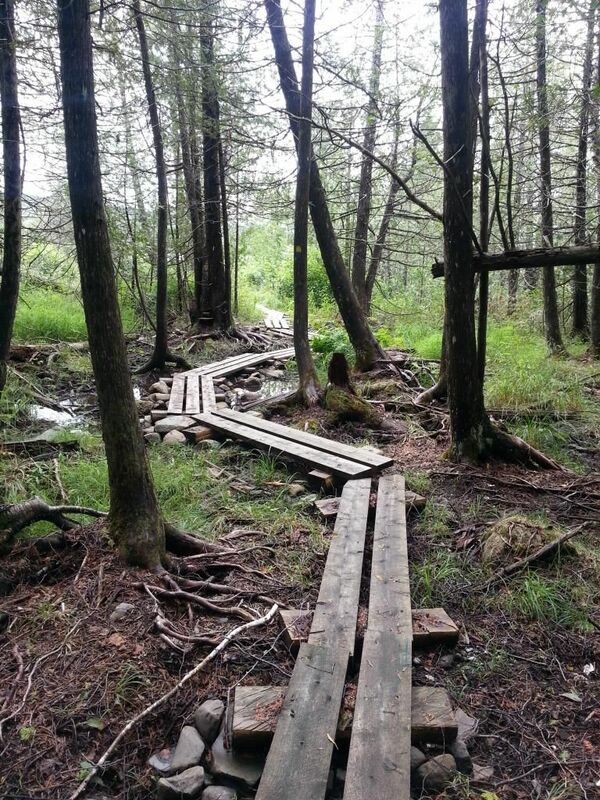 The trail meandered and made its way back to the Logging Museum up the hill from where our riders were being served lunch. I returned to several queries as to where the hell I had been. So much for slipping away discretely. 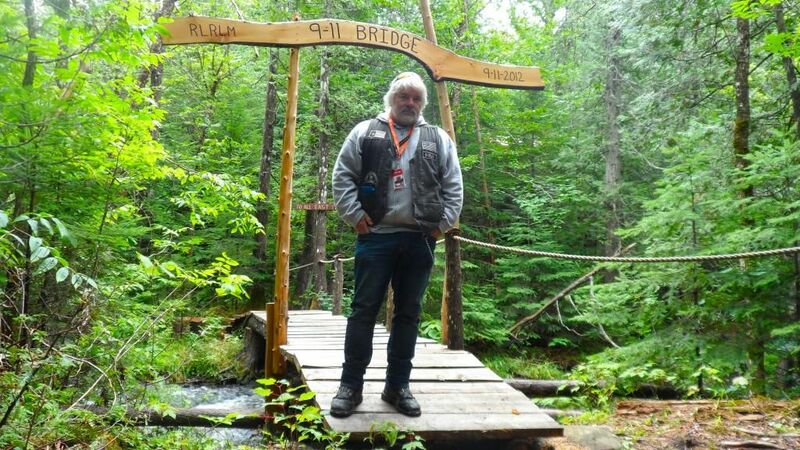 I told some of the others about the trail and the next thing I knew, we had a leather clad expedition through the woods. Tim led us back to the host hotel following a different route that turned out to be much smoother than the route we took into Rangeley. 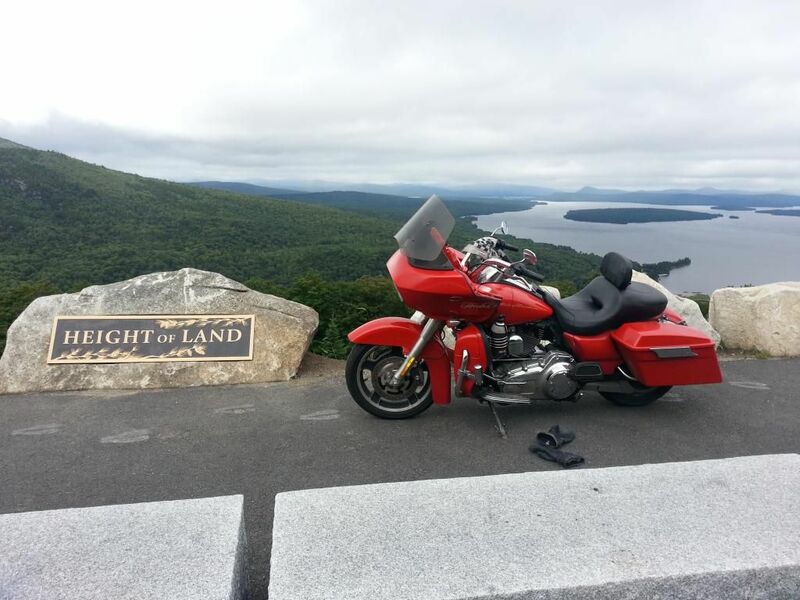 It also offered a picturesque overlook of Rangeley Lake at which we briefly stopped for photos. There were quite a few bikes from our group there before we arrived and we made sure we hit the road before they did, lest we get stuck behind them riding 10mph below the speed limit. We arrived back at the host hotel with time to spare before the group photo, awards banquet, and raffle extravaganza. I used this time to reinstall my Tour Pak and start packing for my departure the next day. I was either riding northeast to Nova Scotia or back home. Prior to Shark Week, a few riders had expressed interest in riding into Canada and I planned to join them. All of them had backed out by the time we arrived at Shark Week, but I wasn’t dissuaded. It was almost 600 miles to the start of the Cabot Trail in Nova Scotia and I actually prefer riding those kinds of distances alone. The rainy weather we had experienced on my day off was heading to northeast Canada, so I had been watching the forecasts closely. I repacked my clothes and kept only the essentials out for my Friday morning departure, whichever destination it happened to be. After packing and a short nap, I joined my fellow riders in the hotel ballroom for the awards banquet and raffle. When we made our hotel reservations, we selected either a lobster or steak dinner. Shrug doesn’t do fish of ay kind, so it was steak for me. 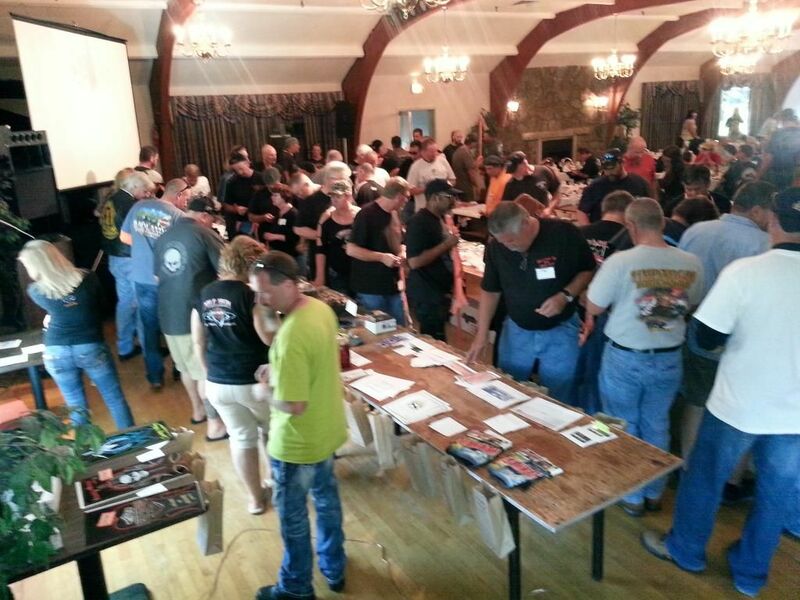 The room filled quickly and was abuzz with people buying raffle tickets and dropping them into various prize bags. Spearheaded by Tracy, affectionately known as the “Queen of Swag”, the annual Shark Week raffle has grown significantly in a very short time. Tracy prods, pesters, and sometime begs vendors to cough up parts and serious discounts on just about everything imaginable that a rider could want. To her credit and to theirs, the vendors never disappoint. 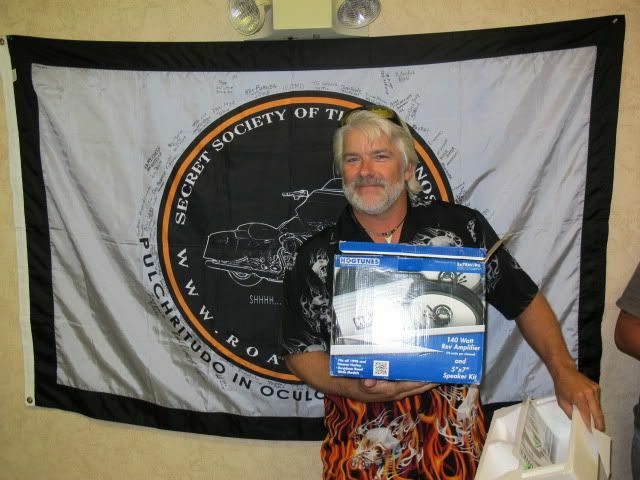 This years raffle included a bumper crop of goodies donated by companies and individual forum members that included complete bike stereo amplifier and speaker systems, $100 Shell gas cards, windscreens, $500 credit towards custom wheels, Bluetooth helmet communication sets, tools, a new battery, biker apparel, and tons of other items. All of the donations were displayed on tables with bags in front of each item. Shark Week attendees purchased paired raffle tickets for $1 each or 25 for $20. When a rider wanted to win an item, they dropped as many tickets in the bag as they were willing to gamble. I won a HogTunes speaker/amp system at SWII with just one ticket in the sack. Drawings would commence after the dinner and awards with a portion of the money collected to be used to support a local charity chosen by the person or team who hosted the event. Some of the funds are used to pay current event expenses and the remainder is banked as front money for next year’s event. I have no idea how much was spent on tickets this year, but I saw several people buying $100 worth of tickets and stuffing the bags for the items they wanted most. I think the gas cards received the most tickets this year. Makes sense as they’re something everyone needs. course (no pun intended). Thankfully, they offered a beef substitute, because as I said, I don’t do fish. Everyone had finished stuffing bags with tickets and folks were settled in at large round tables with settings for eight as the award presentations kicked off. Recognition was given to three riders from California for the most miles ridden and attendance at all previous Shark Weeks was acknowledged for 16 riders. Plaques of appreciation were presented to the organizers and to Tracy, as well as to the hotel owners for their cooperation and over-the-top accommodation of our needs. Shark tooth awards were also handed out to those who had been spotted dropping their bikes. If you tip over and someone sees it (and they always do), then you’ve been shark bit and are duly (and very publicly) awarded with a shark tooth necklace. I had the dubious honor of receiving one of the first shark teeth at Shark Week II after I tipped over at a gas stop – in front of everyone. I caught crap from the whole crowd as the near legend (their words, not mine) who kept his bike vertical on the worst roads imaginable to and from the Arctic Circle and then dumped it in a parking lot at the Circle K. Two years later, I was in pretty good company as several teeth had been handed out to riders that I really respect. A four course dinner was served as the awards and recognition continued. It started with clam chowder, which I smelled and immediately handed off to someone else at my table. 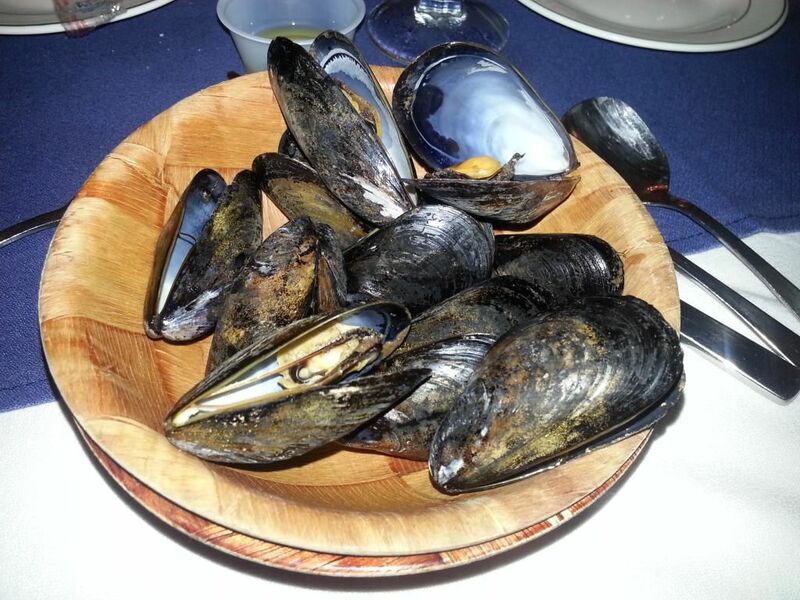 The clams were followed by a bowl of steamed mussels, which, again were immediately handed off; this time without the need to first smell them. Finally, some jalapeño corn bread was served. This I could eat. 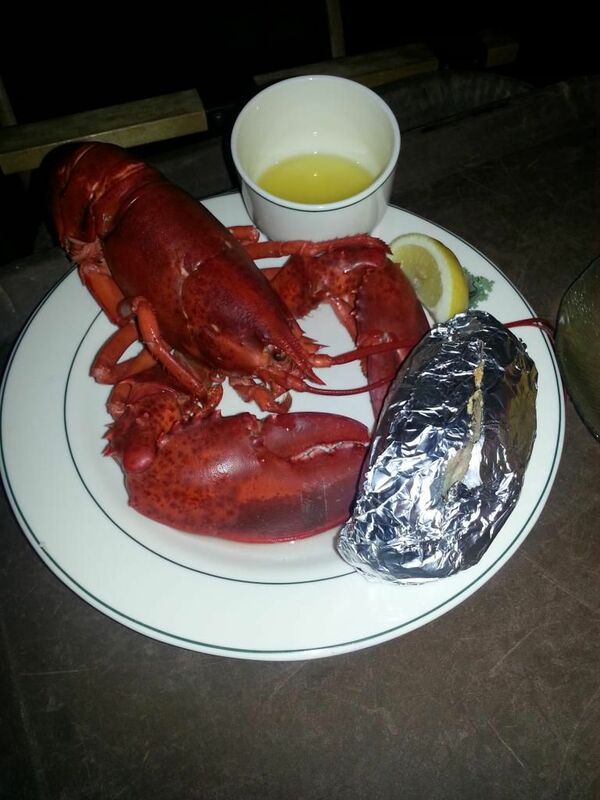 The main course of lobster (steak, in my case) with corn on the cob and baked potato came next. People told me the lobster was great, but it reminded me of the Alien movies. As dessert of blueberry cobbler was being served, everyone eagerly awaited the announcement of the location for next year’s Shark Week. After some fanfare, it was announced that Shark Week V would be held in Texas and the majority of attendees seemed very pleased with the vote. Personally, I prefer to ride somewhere for Shark Week and I can go to the Texas Hill Country any time. Still. I’m looking forward to a Texas sized event that will show my friends a good time. Finally, the raffle kicked off and people shouted, laughed, cheered, and jeered as tickets were drawn from the bags, numbers were called out, and items were won. It should be noted that I didn’t win squat! I was happy nonetheless to make my donation to the cause, especially given that some of those funds will be used for the Shark Week in my back yard. The Texas team had mentioned the Medina Children’s Home as the recipient of their donation. I had visited the home twice before with the Patriot Guard Riders at our annual event held in the area. If a portion of my ticket money goes to the kids, I’m fine with that. Once the last raffle item for which I had a ticket was won by someone else, I slipped out to check the weather forecast for Nova Scotia. Much to my dismay, rain was predicted for most of the island Friday afternoon and all day Saturday. I had little interest in riding an additional 2,000 miles and spending gas and hotel money to look at a foggy coastline. Without saying a word to anyone, I discretely made my way back to my room to finish packing and load Hester. I had a contingency plan to ride back to Texas with some fellow Texans who live in the Dallas area, but they decided to change their route and take four days to get home instead of three. So I was on my own, which, truth be told, is the way I like it. I loaded the routes that I had worked up during the bingo game into my GPS and verified them on my laptop. If you’re not careful, the GPS will lead you down some really crappy roads, dump you off at needless exits, and drop you way beyond the wrong side of the tracks. Don’t ask me how I know. 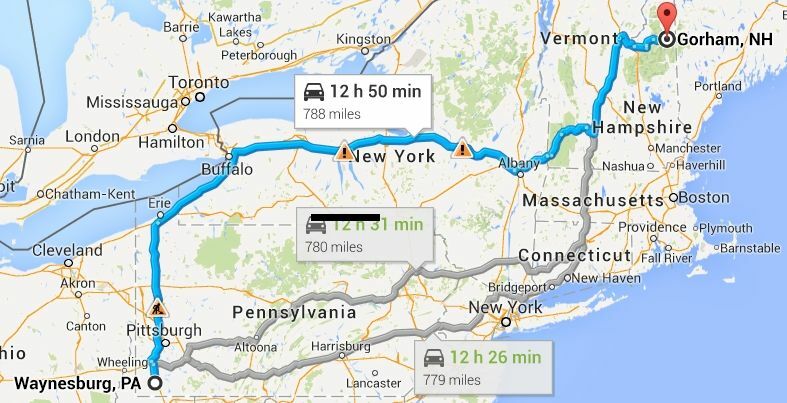 Tomorrow’s route would be a 780 mile run to Waynesburg, PA; just south of Pittsburgh. I validated the route to the hotel at which I planned to stay, set the alarm on my phone, and hit the sheets. All Packed & Ready to Roll!